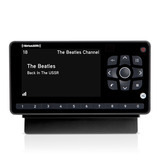 Enjoy everything SiriusXM has to offer with the first radio to get EVERY SiriusXM channel. 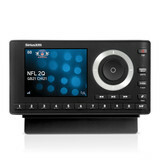 Perfect for the sports fan who wants every sports event that SiriusXM broadcasts. 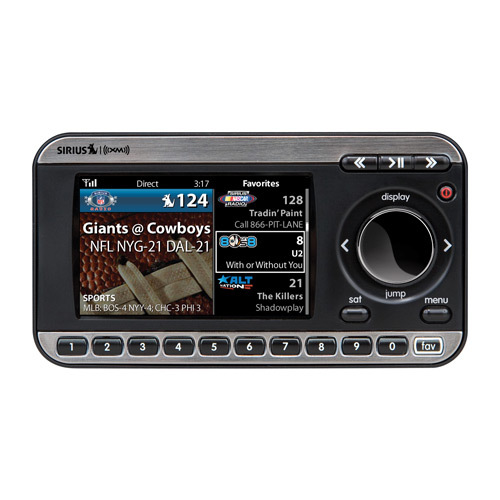 Every game, every race, every major sport is on SIRIUS XM radio. 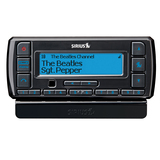 Easily switch between SIRIUS and XM at the touch of a button. 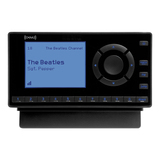 Personalize your listening experience on the MiRGE™: View the information you want, the way you want, on the large, full-color display. Split-screen display: View up to four channels simultaneously. Pause, rewind and replay up to 60 minutes of live programming. Set up to 20 favorite channels (10 SIRIUS and 10 XM). Easy-to-Use, 5-way control knob - for rapid channel scrolling. Real-time onscreen tickers track the latest sports scores or stocks while listening to SIRIUS or XM programming. Never miss your favorite artists or songs when they are on live radio with TuneSelect. Easily lock and unlock channels with easy to use parental controls. Easily move the MiRGE™ between car, home, and office with compatible accessories. Includes the MiRGE™, Vehicle Dock, Remote Control, Interoperable Vehicle Antenna, Mounts, Vehicle Power Adapter, Cassette Adapter, Aux In cable.